When I first started home educating 17 years ago homeschooling was something you researched by reading books which you got at the library or a homeschooling friend. You learned the practical aspect of homeschooling by visiting like minded families and seeing how they implemented their philosophies. With the advent of the internet and weblogs we are given this amazing ability to see in the homes of home educating families around the world at any time of the day. The only downside I have found to this phenomenon is that these picture perfect homeschools can leave you feeling overwhelmed and ill equipped to home educate your own family. 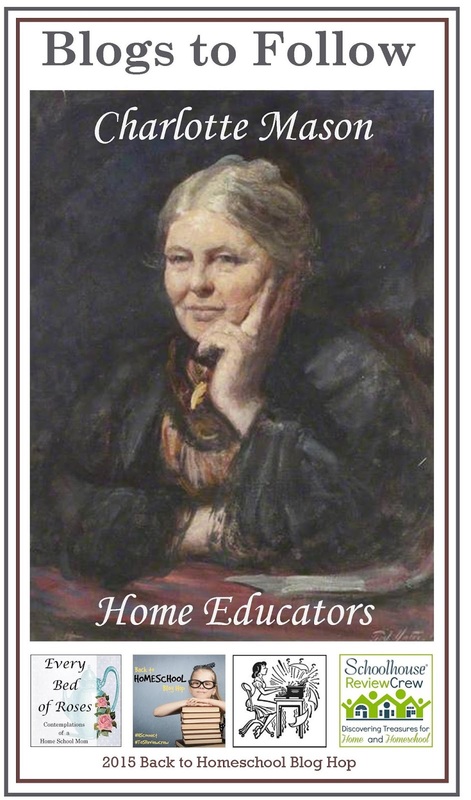 On the upside however you can learn so much from these amazing women who open up their hearts and share their experiences and insights on home educating. 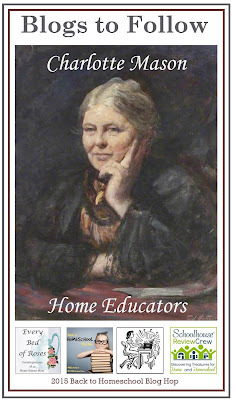 The more I learn about the Charlotte Mason method of home educating the more I'd like to know of how to implement it in today's modern home school. Today I would love to share with you 10 Charlotte Mason blogs that I've been learning from. These are presented in random fashion and not in order of preference. I love spending time at Practical Pages. Nadene is an encouraging down to earth Charlotte Mason inspired Home educator who shares many free resources. Charlotte Mason this page is a goldmine of links to everything Charlotte Mason on Nadene's blog. Carol blogs over at journey-and-destination where she shares her heart, resources and insights into home educating her children. She has seven children and has home schooled them all. Five have graduated. 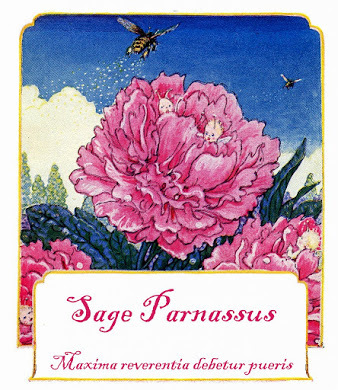 Nancy is a veteran homeschool mom of 20 years and the hostess at Sage Parnassus where she loves to write about the Charlotte Mason philosophy and method of Education. She also serves on the Charlotte Mason Institute Board. She has six children of whom two have graduated and she is still home educating her youngest four. This community blog is the official Ambleside Online Blog and has seven contributors. This blog is home to the monthly Charlotte Mason Blog Carnival where you will find an abundance of wonderful Charlotte Mason encouragement. The Charlotte Mason Institute is a relatively new space I've been exploring but their blog contains some thought provoking posts. Jimmie homeschool's her daughter using the Charlotte Mason Method and Notebooking. Deborah blogs at A Charlotte Mason Home which is dedicated to bringing Charlotte Mason's ideas to the modern homeschool family. Simply Charlotte Mason is the home of two Charlotte Mason educating families with over 40 years of Charlotte Mason educating experience between them. The Schoolhouse Review Crew will be joining forces with Homeschool Blogging Connection to bring you a week full of back to school encouragement. What are some of your favourite Charlotte Mason inspired bloggers to follow ? I'd love to add them to my list. Chareen, thank you so much for your kind words above. They were a real encouragement to me! I love your beautiful blog Carol. Thank you for the time you take to share your journey there. Well, it's so nice to meet you! You have a lovely blog here. Thank you so much for the mention in your post. I am reminded about the uselessness of experience unless one keeps "the fresh impulse of training" (CM, The Home School, PR article). Consequently, I am continually learning new things. I love this philosophy! Evening Nancy thank you so much for your kind words. Thank you for all the encouragement you share on your blog it is much appreciated. Thank you for writing this! I'm starting home schooling this year with my 11 year old and a friend suggested Charlotte Mason method and I've fallen in love with her ideas of education! I am so excited to get started. I've been researching relentlessly! I followed a referral click to my blog and wanted to thank you for including me in your list of Charlotte Mason websites -- I am honored to be among some of those greats! You are welcome. Your blog has encouraged and inspired me along my journey. Tuesdays Treasures - Nature Journaling.